(TibetanReview.net, Jan21’19) – Tibetans registered as foreigners in India, even if they may otherwise be citizens by birth, are required to pay penalty amounts applicable to those who overstay their visas if they fail to renew their Registration Certificate (RC) on time, according to an advisory issued by the Central Tibetan Administration (CTA) at Dharamsala, based on a circular issued by India’s Ministry of Home Affairs/Foreigners Division. The penalties are a steep increase from amounts announced previously and implemented by the Foreigners Regional Registration Office (FRRO) at Dharamsala in 2016. The maximum amount has been more than doubled while the minimum has been raised tenfold. The advisory issued by the CTA on Jan 19 directs affected Tibetans to the relevant Indian government webpage specifying the applicable penalties. However, the page, https://indianfrro.gov.in/frro/Financial_Penalty.pdf, could not be opened on Jan 19 and 20. Anyhow, the CTA advisory notifies what the penalty amounts are. Those failing to renew their RC, which also serves as their Stay Permit, for more than two years and are guilty of other specified visa violations have to pay a maximum penalty of US$ 500. This may be imposed as a total or separately. Regarding those who fail to renew their RC for more than 90 days but up to two years and/or who are otherwise guilty of some minor visa violations, the penalty is US$ 400, applicable in the same manner as above. The penalty for failing to renew RC for up to 90 days and/or for failing to register, apparently meaning, in Tibetans’ cases, departures and arrivals within India, is US$ 300. Tibetans can apparently pay their fines in rupees, for the CTA advisory says the relevant amounts in this currency are Rs. 36,000, 28,800, and 21,600 respectively. These penalties are a steep increase from those notified on Sep 26, 2016 by the FRRO at Dharamsala when the relevant amounts were $230, $130 and $30. The penalty is much less for persons belonging to minority communities from Pakistan, Bangladesh and Afghanistan, with the relevant amounts being Rs 500 (about $7), Rs 200 (about $3), and Rs100 (about $1.4) respectively. The CTA has reiterated its advice to Tibetans to file their application for the renewal of their RC/Stay Permit a month before the expiry date. Tibetans, including even school children, have in the past been jailed for failing to renew their RC in time. The new penalty circular apparently reaffirms the standard procedure while making it much more stringent. 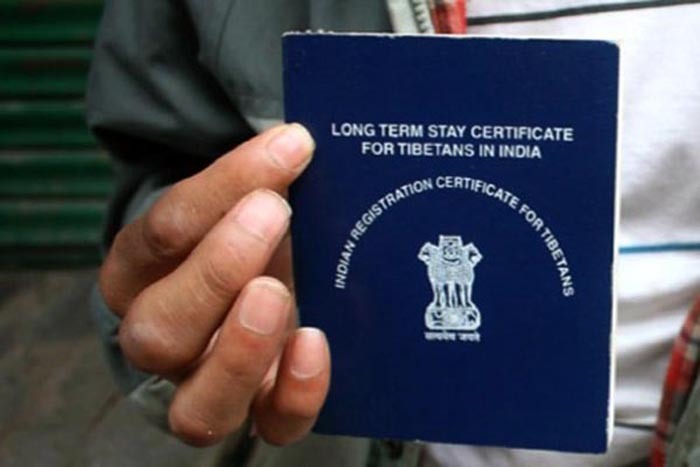 Tibetans born in India or who have lived in the country for more than 20 years continue to have the option to apply for a five-year renewal of their RC/Stay Permit. Will scrapping Nori, online processing of Return Visa, Exit Permit ease overseas travel for Tibetans in India?